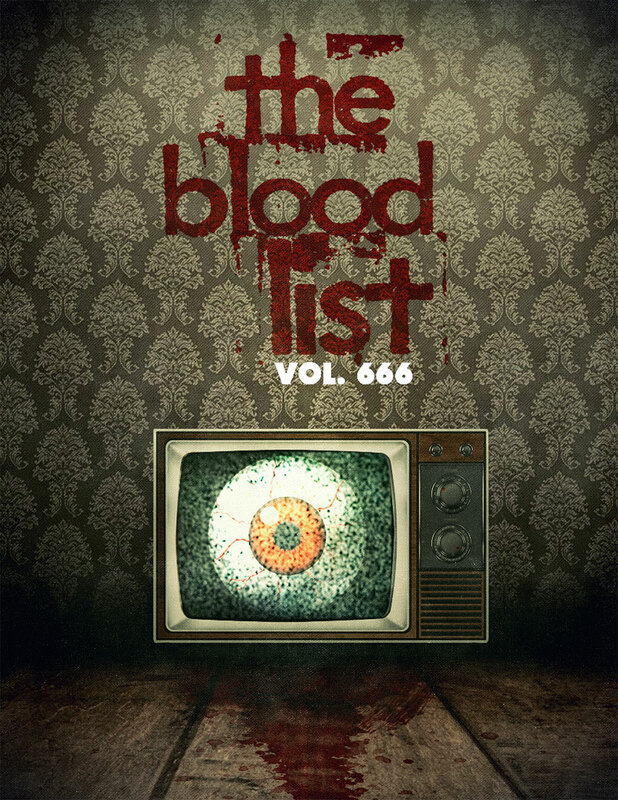 It’s The BloodList’s 6th birthday, and because of that, this year not only includes the 13th unproduced, dark genre scripts that people enjoyed most this year, but also the top 6 New Blood contest winners, top 6 pilots, and top 6 books. A calendar year for a piece of material to be considered for the list is from October 31st 2013 to October 31st, 2014. This year 73 execs voted. Each executive chose their top 4 favorite dark genre scripts, pilots, or books of the year. A woman tries to lead her children to safety after the world is invaded by monsters who turn you insane upon sight. The tale has echoes of Stephen King’s THE STAND and captures a horrific and gripping snapshot of a world unraveling. Set up at Universal, with Bluegrass Films & Chris Morgan Productions attached to produce. In the 1950s, a neurotic florist’s strict routine is derailed after stumbling upon a murder and finding himself at the center of a conspiracy. A woman held captive in the futuristic smart house of a serial kidnapper realizes that her only hope of escape lies in turning the house’s sentient computer against its creator. Russell Ackerman is attached to produce. A young woman who has recently lost her mother is surfing in an isolated area when she gets stranded on a buoy, and a gigantic great white shark is between her and the shore. Set up at Columbia pictures. Lynn Harris & Matti Leshem (WEIMARANER REPUBLIC PICTURES) are attached to produce. Edward and Bethany Martin are young, beautiful, rich, and in love. But their enviable lifestyle is upended when Bethany begins exhibiting strange and alarming behavior. As her condition worsens and doctors grow increasingly baffled, it seems as if something supernatural might be responsible. But the truth is far more shocking…and will force Edward to confront a terrifying choice in the name of love. Russell Ackerman, Jewerl Ross, & John Schoenfelder are attached to produce. Set at a remote lake house, revolves around a mother and her two young daughters who must fight for survival after falling into a terrifying and bizarre nightmare conceived by a psychopath. Set up at Screen Gems with Bryan Bertino & Adrienne Biddle (Unbroken) attached to produce. In the vein of THE SHINING and THE CONJURING – based on true events, a private investigator is hired to investigate a mysterious murder at a downtown Los Angeles hotel and uncovers its dark supernatural history. Set up at Sony with Matt Tolmach & Daniela Cretu attached to produce. An outcast teenager’s revenge plot against high school bullies quickly spins out of control, blurring the lines between bully and victim as his obsession sets off a deadly chain reaction. In this prequel to “The Texas Chainsaw Massacre,” a young nurse is kidnapped by four violent teens who escape from a mental hospital and take her on a road trip from hell. Pursued by an equally deranged lawman out for revenge, one of these teens is destined for tragedy and horrors that will destroy his mind; molding him into the monster we now call Leatherface. Set up at Millennium Films. Carl Mazzocone and Les Weldon are attached to produce. Christa Campbell and Lati Grobman will serve as Executive Producers. Beth Brucker is co-producing. When a young woman’s estranged uncle comes back into her hometown, she finds herself strangely attracted to him while at the same time suspicious that he might be involved with a series of grisly murders. Ross Putman is attached to produce. Cole Tanner, one of the millions buried in debt they’ll never be able to pay off, is used to harassment by collection agencies. But nothing has prepared Cole for his new debt collector, Ray Loomis, a man dead set on getting what he’s owed – one way or another. A novelist gets taken hostage at his house in the woods by a serial killer who claims that his books have been plagiarizing his life. Set up at Addictive Pictures. A hard partying ski instructor finally gets his dream job in Aspen only to find the town threatened by a malevolent force that must be tamed. After they crash their car and trailer, a young couple struggles to locate their missing son while fending off an aggressive pack of otherworldly creatures. During an apocalypse of vicious mutants in a Southern gothic quarantine, a battered veteran attempts to rescue his son. ‘Rot’ was the hottest drug on the street. Everybody was doing it and everybody was getting it from Raymond Roper. Then the side effects became much worse than anyone could have ever imagined. When she is trapped aboard a damaged warship, a ‘by the book’ Naval Officer becomes the target of a vindictive crewman’s ‘get even’ game that leaves her fighting against him for her sanity and her life. A marine biologist, trapped in her laboratory aboard a research vessel at sea, has hours to find a cure for the blood-drinking parasites that have taken over her crew before the ship runs aground and unleashes the deadly contagion upon her hometown of New Orleans. A distrustful sheriff must confront his dark past and loss of faith to join forces with a hard-nosed priest and defeat a vengeful, demonic entity preying upon his town. Half Bad is set in modern-day England. Witches and Humans live together. There are the Black Witches and the White Witches. The 16-year-old protagonist, Nathan is half-white and half-black. His mother is dead, and his father is the most powerful and the cruelest Black Witch in the world. Trapped in a cage and abused, Nathan has to escape before his seventeenth birthday, when he will receive three gifts from his father and his magical ability. Otherwise, he will die. Set up at Fox 2000 with Karen Rosenfelt set to produce. CAA handled deal. In a small New England town, over half a century ago, a shadow falls over a small boy playing with his toy soldiers. Jamie Morton looks up to see a striking man, the new minister. Charles Jacobs, along with his beautiful wife, will transform the local church. The men and boys are all a bit in love with Mrs. Jacobs; the women and girls feel the same about Reverend Jacobs—including Jamie’s mother and beloved sister, Claire. With Jamie, the Reverend shares a deeper bond based on a secret obsession. When tragedy strikes the Jacobs family, this charismatic preacher curses God, mocks all religious belief, and is banished from the shocked town. Jamie has demons of his own. Wed to his guitar from the age of thirteen, he plays in bands across the country, living the nomadic lifestyle of bar-band rock and roll while fleeing from his family’s horrific loss. In his mid-thirties—addicted to heroin, stranded, desperate—Jamie meets Charles Jacobs again, with profound consequences for both men. Their bond becomes a pact beyond even the Devil’s devising, and Jamie discovers that revival has many meanings. Dom is the youngest person ever to arrive in the Necropolis, the ‘waiting place’ between death and what comes after. And it isn’t long before he catches the attention of Satarial, a cruel Nephilim from the beginning of time, who has grim plans to use Dom as entertainment in his vicious gladiatorial games. When Dom’s still-living sister, Kaide, appears in the Necropolis too, Satarial has the leverage he needs, and the stage is set for the biggest shake-up the afterlife has seen in centuries. Dom’s only option is to compete in the Trials and attempt to win the chance to enter the Maze. In his favour he has an enigmatic young Guide, Eva, and a Guardian, Eduardo, who may not be what he seems. But will they be enough? Overseeing the grand opening of a gleaming, still-empty, all-white luxury hotel, beautiful Tessa is initially unaware that a knife-wielding professional assassin – directed by a mastermind “Thinker” who watches via security cameras from the hotel’s top floor – is killing off her staff one by one. When the killer and the Thinker come after her, Tessa and a new lover/former foster brother fight him to the death. Part 1 of the Trilogy that has just been announced. Larry Kirshbaum at Amazon Children’s Publishing/Skyscape acquired U.S. rights; U.K. and Commonwealth rights were sold to Hot Key Books. What if a killer like Michael Myers from “Halloween” had been shot, fell into a coma, and survived? He wakes up with no memory, is incarcerated in a mental institution, and twelve years later, is pronounced cured and released back into the community that hates and vilifies him. Set up at Sonar Entertainment. Edward Zero was the best spy the Agency had – and then he realized he was working for the wrong side. Being packaged by WME with Russell Ackerman (Addictive) attached to produce. After a pandemic wipes out 1% of the world’s population, a foreign traveler is discovered dead in his motel room with a new virus strain. A scientist whose been discredited publicly for making controversial accusations about the U.S. government is being quietly enlisted to help save us from this latest threat. Only he is about to discover that his previous claims of a larger conspiracy are about to be substantiated. Color Force is attached to produce. Alice Grimson is overjoyed when her teenage son Josh shows up seven years after being kidnapped. She and her husband Tom set aside long-simmering tensions in their marriage to help Josh in his struggle to resume a normal life. But when she connects his return to a series of horrific local murders, Alice begins to wonder if Josh knows something he’s not telling them. Determined to protect her son, she digs deeper into what really happened to him while he was missing — and she enters a nightmare that threatens her life and everything she holds dear. Set up at Starz with Amblin Entertainment attached to produce. A young woman finds herself trapped in a dangerous kaleidoscope of her own memory. A contemporary take on the mythology of H.P. Lovecraft, with the famed author now living with his family in modern day Arkham. When his daughter goes missing, his search for her brings him face to face with supernatural horrors that drive him to the brink of madness. Set up at Syfy with Amblin Entertainment attached to produce.